This examination is being given to fill a vacancy in the Information Technology Department in San Joaquin General Hospital and to establish an eligible list to fill future vacancies. Resumes will not be accepted in lieu of an application. A completed application must be postmarked or received online by the final filing deadline. San Joaquin General Hospital is offering an excellent employment opportunity for an experienced Department Information Systems Analyst IV, who is both innovative and results oriented.  This position will assist in leading, managing, and administering the Information Technology (IT) services and programs at San Joaquin General Hospital. This key position is responsible for ensuring departmental compliance with all IT applicable laws, mandates, and regulations, as well as policies established by the County Administrator and Board of Supervisors. This position works hand in hand with other IT personnel throughout San Joaquin County. The Department Information Systems Analyst IV reports directly to the Clinical Informatics Director and assists the hospital’s Chief Information Officer (CIO) and Chief Medical Information Officer (CMIO). The ideal candidate is a highly motivated, visionary IT expert, who has a strong work ethic and significant IT experience in a complex public healthcare system. The candidate should possess a thorough knowledge of HIPAA regulations and full understanding of the technologies that support the electronic medical records (EMR)/electronic health record (EHR) functionality benefits & capabilities in the healthcare industry. The ideal candidate should have strong working knowledge of both data structure and data management. This includes but is not limited to data warehousing; data modeling; reporting and analytics; extract, transform, and load (ETL) package development. Additionally, the candidate must possess hands-on experience with business intelligence markup language (BIML) development in SQL Server Integration Services (SSIS). Provides highly advanced professional level support in the analysis, design, evaluation, development, testing and implementation of strategic systems, networks and programs across multiple platforms and technologies. Plans, develops, integrates, tests and evaluates the department's local and wide area networks; determines network system requirements; evaluates network protocols, hardware and software to determine their applicability to department network needs; evaluates new applications to determine integration with current systems and applications; studies the integrity and security of data; monitors systems to control and support network traffic; devises and implements strategies for connection of other systems through the use of network infrastructure and components. Investigates, analyzes and resolves highly complex network-related problems; resolves compatibility problems across multiple systems and networks; troubleshoots complex network failures, router problems and telecommunications problems; recommends and implements changes and improvements. Analyzes network security and performance issues; identifies potential security and utilization or performance issues; designs strategies and recommendations to improve security and network performance. Performs database management, analysis, administration and maintenance duties; provides support to department information technology staff in planning, designing and implementing databases; designs and modifies database structures, tables, files, views, and indices; manages and maintains database and file space allocation; develops methodologies to export and import data within multiple operating environments; plans future storage requirements. Ensures database availability to system users; provides and controls user access; maintains database security to ensure data integrity; monitors users to ensure compliance with operational and security procedures; monitors database performance; makes database tuning changes as required; makes recommendations on enhancements to optimize resources; conducts and maintains database systems back ups to ensure timely recovery of data; develops alternative strategies for data recovery. Designs and develops current or new programs for large and complex systems; analyzes user operations and business requirements to design and develop technology solution; reviews, evaluates and recommends current and third party systems and programs; creates or oversees the development of data flow diagrams and other systems documentation to develop program specifications; designs optimum system configurations; develops and implements testing plan; ensures system quality assurance; determines whether new program meets the client's business and technology requirements and adjusts as required. As assigned, serves as project manager on systems projects; analyzes client information system needs; recommends solutions and appropriate technology; designs project and resource plans and schedules; develops proposals using cost/benefit analyses; coordinates the installation and evaluation of proposed hardware and software to ensure compatibility with existing systems; coordinates programming activities; controls, monitors and reports budget expenditures; directs members of the project team; provides written reports and presentations on project status. Performs technical writing duties in the development and production of complex system documentation, instructional and procedural manuals. Identifies training issues and coordinates training sessions for client users on assigned systems or applications; develops training schedule; designs training manuals; conducts training sessions. Trains assigned project staff in their areas of work including structured programming and development methods, procedures and techniques. Experience: One year as a Department Information Systems Analyst III in San Joaquin County, preferably in a hospital work setting. Experience: Three years of increasingly responsible professional analytical computer and related systems work in an information systems environment. Experience in a hospital work setting is preferred and highly desired. Operations, services and activities of a comprehensive information systems program across multiple operating platforms; advanced principles and practices of system and network design, development, analysis, testing and security administration; methods and techniques of evaluating complex systems and business requirements and developing information systems solutions; information systems infrastructure planning and development; advanced principles and practices of structured programming; advanced programming languages, methods and techniques including integrated database management; principles and practices of local and wide area network design, protocols, development, security and administration; operational characteristics of multiple operating system environments, networks, and associated hardware, software, database and related components; local and wide area network protocols; methods and techniques of resolving complex network system compatibility and integration issues; principles, practices, methods and techniques of supporting a comprehensive database design, management and administration program; operational characteristics of a variety of database systems, tools and utilities; relational database design and management theory, techniques and tools; principles and practices of quality assurance, data security, integrity, backup and recovery; principles and practices of project management; pertinent Federal, State and local codes, laws and regulations. Analyze department operations, procedures and data to recommend, design and develop logical solutions to complex systems problems; perform highly complex systems, network and applications programming and analysis duties; recommend and implement quality assurance and security procedures; provide highly advanced level technical systems support; perform feasibility studies and conduct cost-benefit analyses; design and integrate systems and programs within multiple operating environments; analyze and resolve highly complex system and network problems using logical and methodical processes; provide complex support in the design, configuration, implementation and testing of wide area network operating systems, hardware and software; analyze and troubleshoot complex local and wide area network operating, hardware and software system problems; perform database administration and maintenance functions; develop and modify database models based on department information technology needs; prepare clear and concise technical reports and documentation; as assigned, provide project management services; communicate clearly and concisely, both orally and in writing; establish and maintain effective working relationships with those contacted in the course of work.